Pretty scary, especially when the recording in question is 58 minutes long, and you don’t quite feel like re-recording it. Step 1: I reinstalled Fraps. To do this, I went on their site, and accessed the “Members Areas” to download the full version (free version should work equally well). Reinstalling was suggested by Sarah Northway in the Adobe thread. Thanks, Sarah! 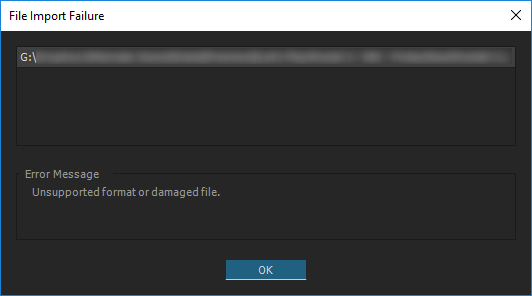 I had this problem and just had to install Fraps again – it automatically installed the codec I needed then Premiere could once again read the AVI files. Step 2: I installed FFDShow. I left the default install options, nothing modified. Installing FFDShow was suggested by “hiddenp18268515” in the same thread. Thanks! If re-installing FRAPS doesn’t work for you, try installing FFDShow. This solved the problem on my machine – Premiere CC 2015 is once again reading Fraps AVI files. Step 3: I shut down Adobe Premiere, and re-opened it. Another thing: I’m not sure if both steps above needed to be performed. Had I done the shut down, re-open step immediately after Step 1, I might have discovered that it had already solved the problem. But, in any case, this is what worked for me, so I’m happy to share it in case it helps someone else.